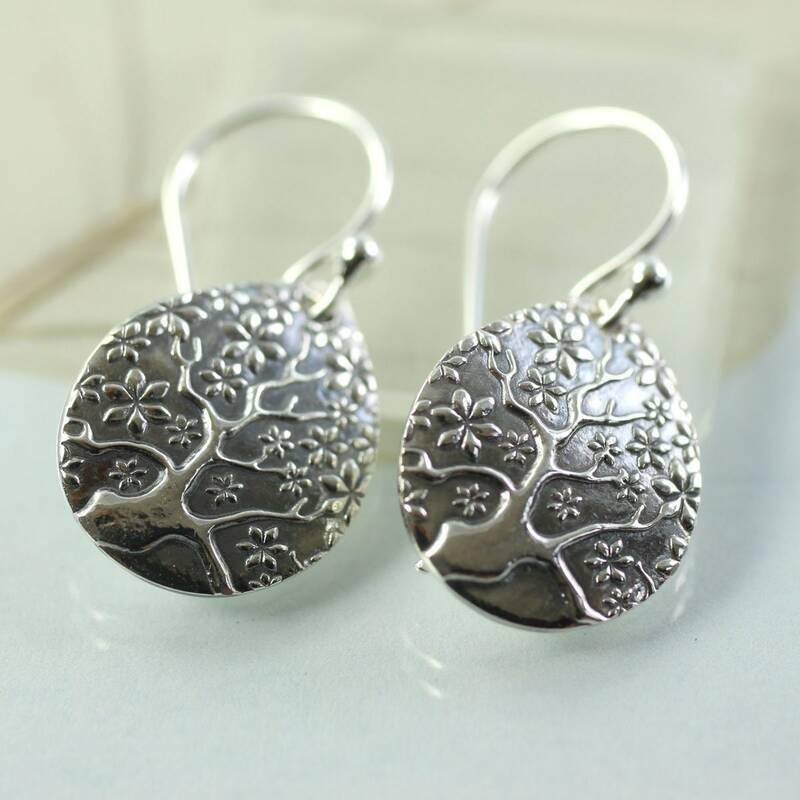 There's beautiful detail in these fine silver earring drops. 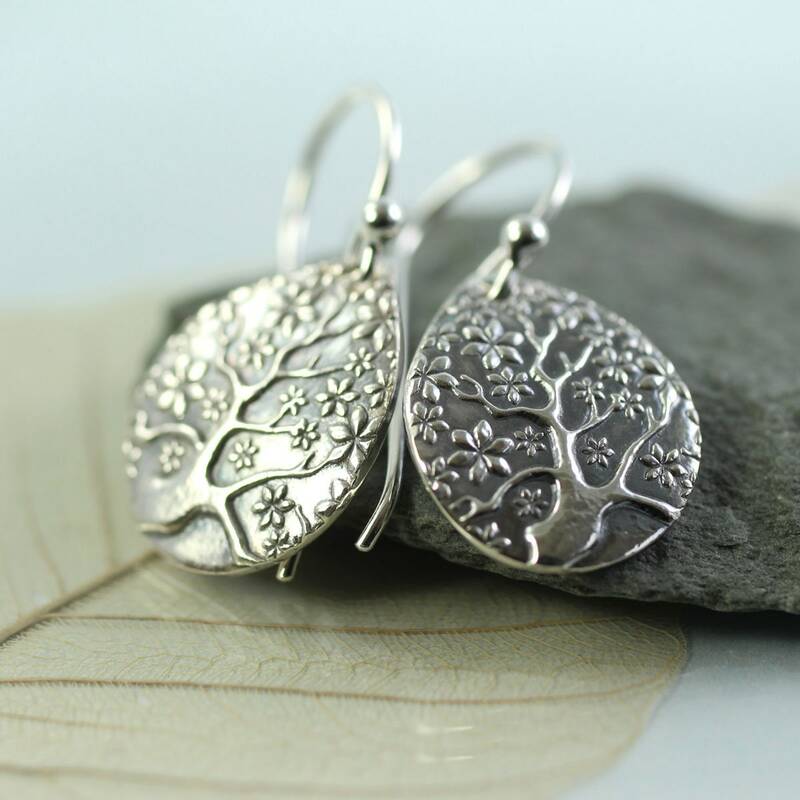 The tree of life symbol is a classic - It alludes to the interconnection of all life on our planet. I Norse mythology the tree is called Yggdrasil and connects the nine worlds. 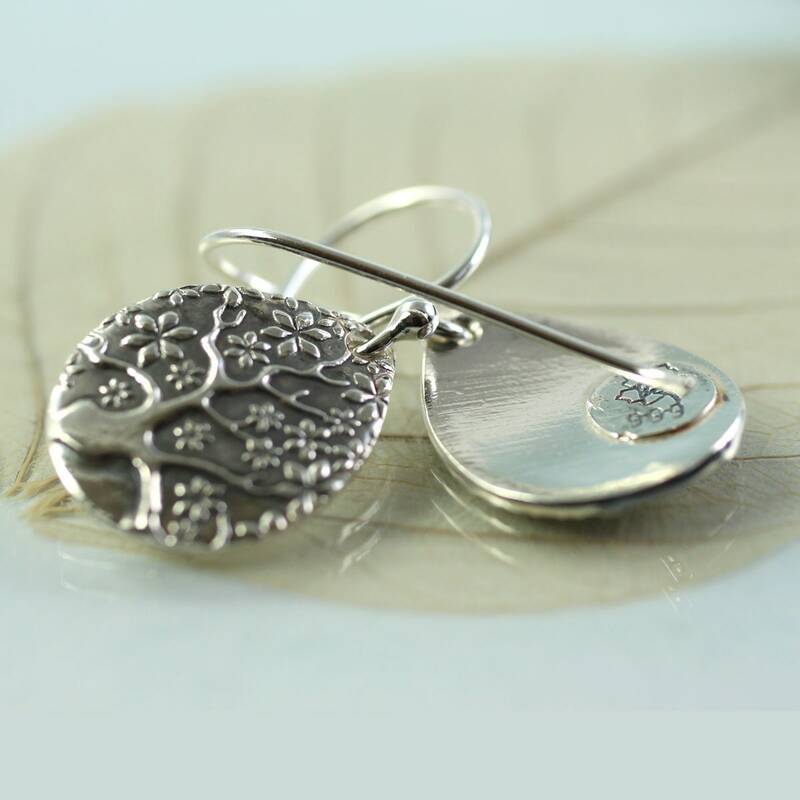 Perfect gift for any tree and nature lover. 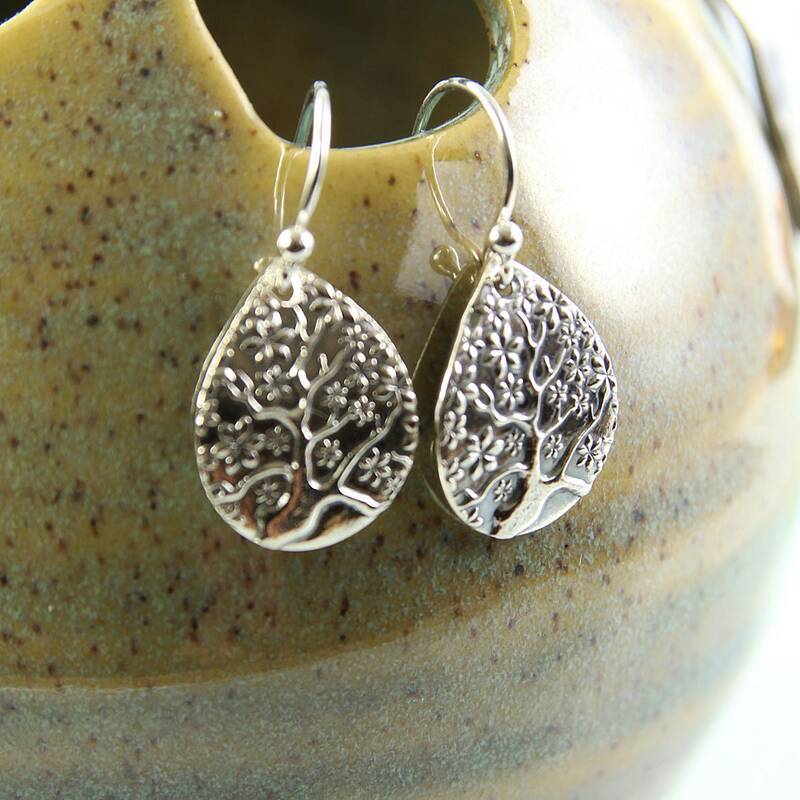 The fine silver petal shapes dangle nicely from handmade sterling silver ear wires. Wonderful monochrome style which goes with jeans and bikini as well as a work outfit. 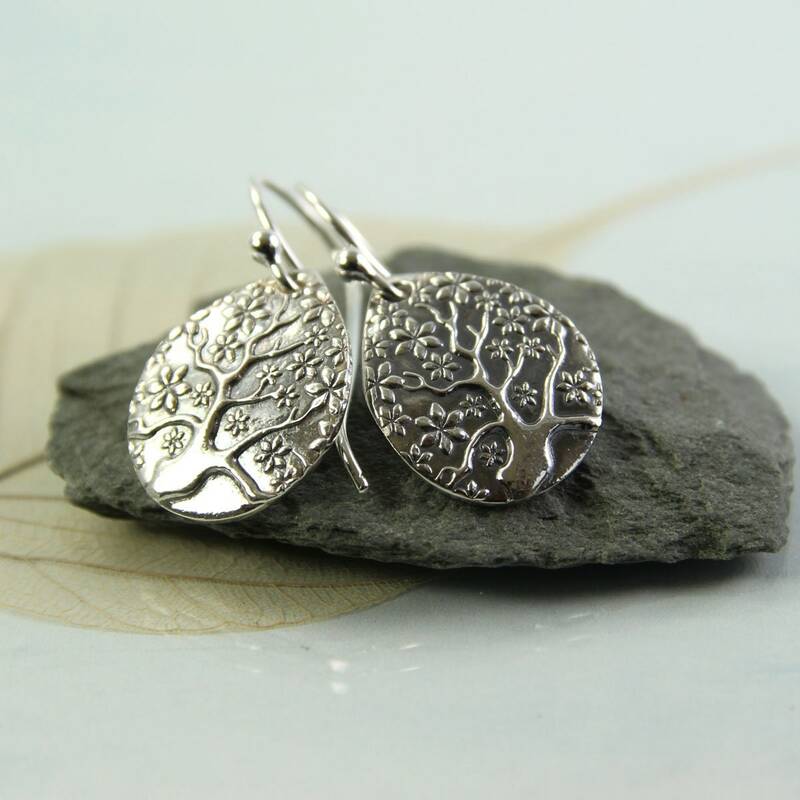 Organic and feminine jewellery in a woodland theme. 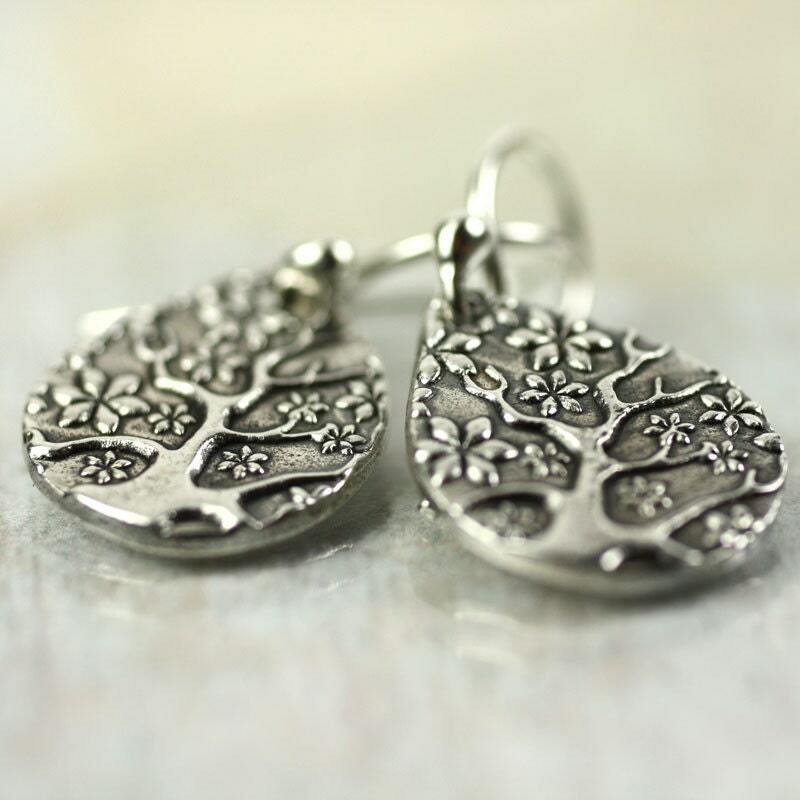 The silver is recycled - extracted from photographic films and liquids, so this is a truly ethical choice. Will arrive ready gift-wrapped in a cute little box. 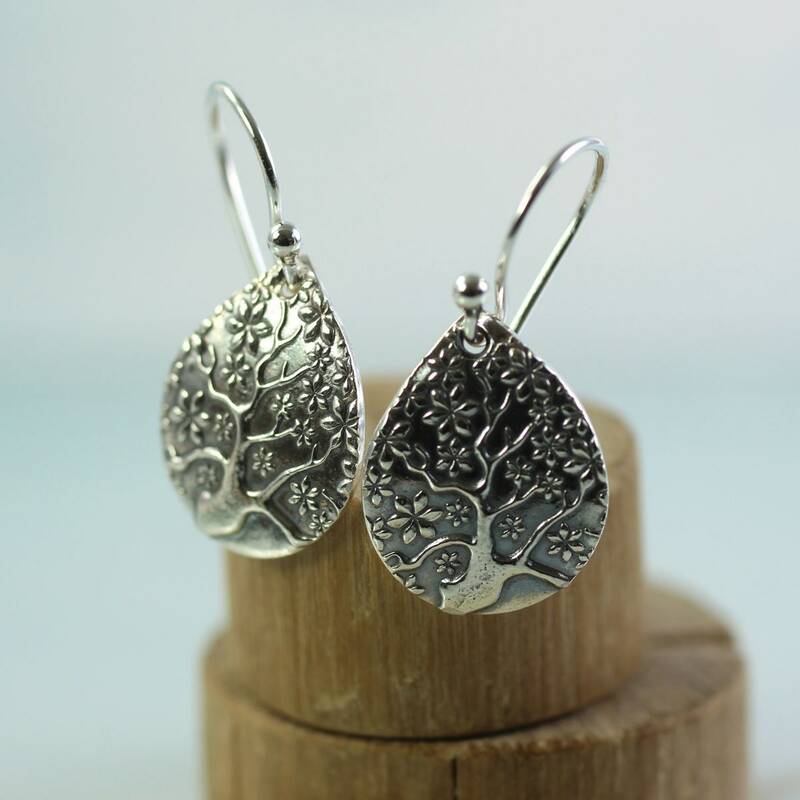 Very pretty earrings - I love the intricate design on them. They were also dispatched very promptly! 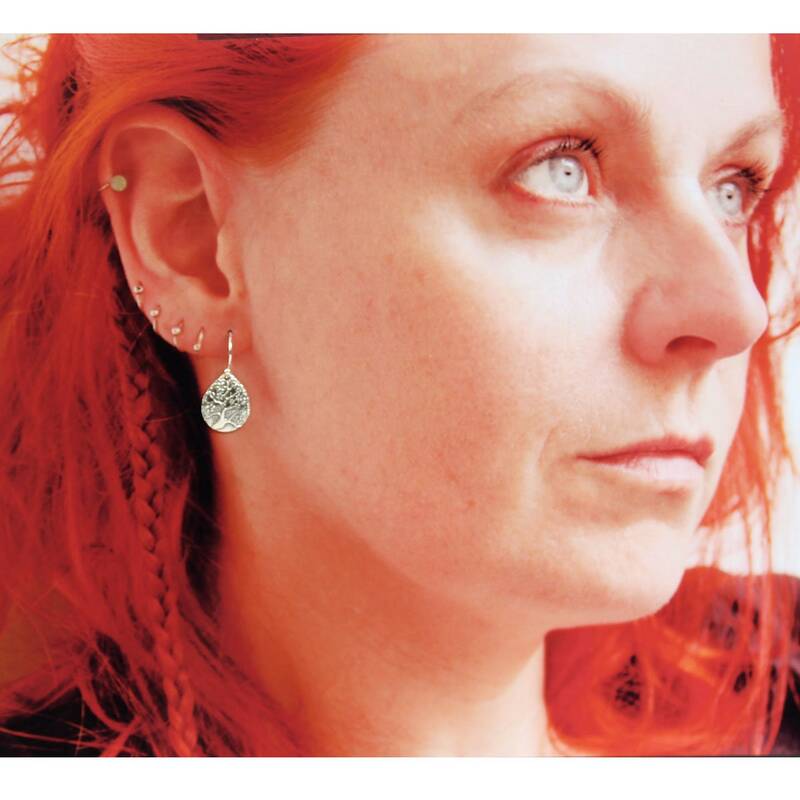 Boucles d'oreilles très jolies et agréables à porter. Merci. The earrings arrived so quickly and were beautifully packaged. They are absolutely beautiful and I am thrilled. Thank you. I bought these as a mother's day gift. They're gorgeous earrings and mom loves them .